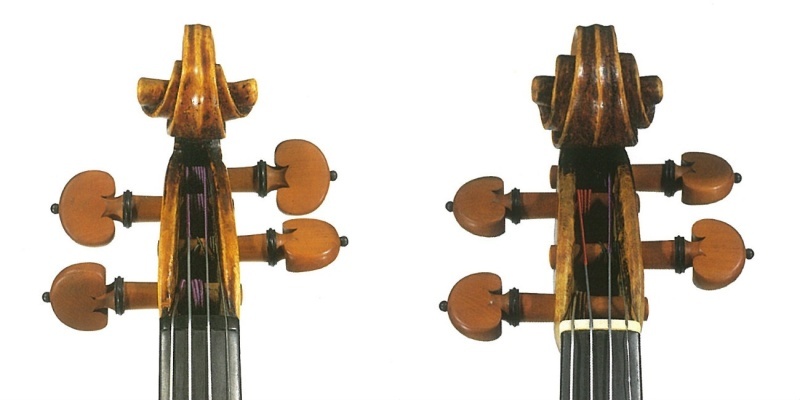 After 1740 the experimental urge of Guarneri ‘del Gesù’ (see part 1 and part 2) seems to have been fully unleashed. His late work is impulsive, perhaps even a little frantic, but he seems to get to the meat of the fiddle – the sound, the structure – without dwelling too long on the purfling or the finish of the scroll. He concentrated instead on the simple purpose of the violin: to ring with a volume and power beyond that of an Amati; and possibly on providing the profundity in the G string that sometimes seems to be the Achilles heel of the Stradivari. This is often seen as the explanation of the ever-more fanciful soundholes, cut longer and longer and allowing more flexibility into the front, allied with the very firm base provided by his characteristically thick backs. Brescia is often seen as the source for certain of these stylistic essays – in particular the extended body length of the wonderful 1741 ‘Vieuxtemps’ (ID 40433), achieved simply by stretching the ribs on the mould, but producing a very Brescian-like personality; he even enlarged the upper holes of the ‘f’ in keeping with one of the most distinctive features of the Brescian makers. Of course, the energetic and uncompromised finish of all these late instruments immediately invites comparison with the wonderfully rugged old Brescians, Gaspar and Maggini, whose work certainly offered a powerful alternative to the old Cremonese particularity. ‘Del Gesù’s earlier scroll-making style returned after the death of his father in 1740: the narrow cut of the second turn, the prominent eye and the light, almost casual chamfer. But he worked so freely that you can barely detect the lines of the template within, although they are certainly there. In the volute he seems to have given up pricking out the turns and cut them freehand, sometimes wildly open as in the ‘Cannone’ (ID 40130), or at other times tightly curled, as in the 1744 ‘Leduc’ (ID 40448) or 1743 ‘Sauret’ (ID 40253). ‘Del Gesù’s reinvention of the violin began only a little cautiously, but the transformations he achieved in just the last four years of his life, from 1740 to 1744, are astonishing. Even that can be subdivided into two fairly clear periods, up to and then beyond 1742. 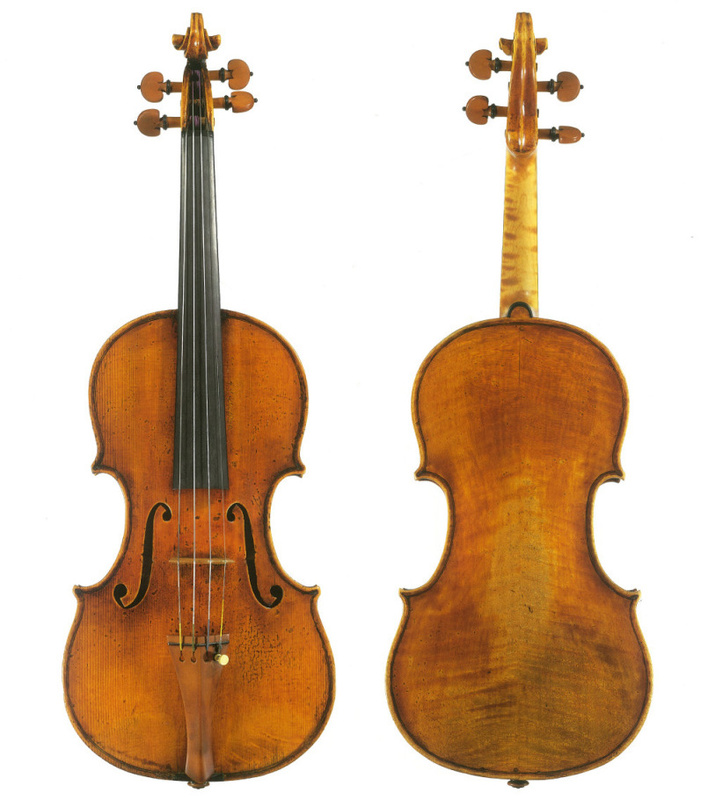 From about 1740 he attacked the edgework with an almost electrified vigour, tearing a deep channel around the purfling, leaving steep gouge cuts in the corners, and utterly changing the appearance of the violin and the relation of the arching to the edge. The purfling remains consistent, the narrow, thread-like veneers vulnerable to every quirk of the quickly cut channel. He gradually abandoned the Stradivari convention of concealing the construction pins beneath the line of purfling, moving the pins further in from the edge. While he extended the corners and eventually gave them his unique ‘hooked’ flourish, the rib corner beneath, provided by the same old form, remained short and blunt. He experimented with extremes of thickness in the graduation of the plates, with the back often exceeding 6mm at the center. These are plainly conscious tonal experiments: ‘del Gesù’ played with the center of thickness, moving it down below the center of the back to varying degrees, as well as varying the shape of the arch to a far greater extent than any of his peers, particularly after 1742. Some of the late works maintain a Brescian fullness, while others are reduced to a shallow minimum, with the barest rise only in the very center. It is as if ‘del Gesù’ was exploring the limits with each instrument. The wild soundholes, perhaps the most obvious and copied feature of these later instruments, do not necessarily extend in length systematically. He never departed far from the basic Cremonese principles of soundhole layout; the circular holes at each end of the ‘f’ that determine their position are laid out with remarkable consistency throughout his life, placed and drilled relative to the edges of the plate rather than the center line. It is the curving body of the ‘f’ linking the two circles that becomes ever more dramatically improvised, but almost certainly manipulated with a sensitivity towards the effect on tone color of a longer, shorter, wider or narrower aperture. While the slightly pointed upper wings are a feature throughout ‘del Gesù’s career, during the years 1740 and 1741 they actually become short and truncated, before developing again in 1743 and assuming a more swaggering and asymmetrical stance, as if cut freehand like the scrolls. In his last year, 1744, the most obvious characteristic is the extension of the lower wings into great paddle-like features that sweep around the lower hole. Varnish becomes an unpredictable affair in the late works; sometimes lavish, sometimes meagre. The deep, textured red of a Stradivari appears on the ‘Cannone’ and ‘Leduc’, but at other times it is a light, thinly applied wash of Amati gold, as in the ‘Alard’ (ID 40444), ‘Wilton’ (ID 40256) or ‘Ole Bull’ (ID 40453). Nevertheless, it is possible to make a convincing chronology of his work from 1737 onwards, with each radical change from year to year, working through re-imaginings of Amati and Stradivari as well as Maggini forms, bringing us to the almost tragically enervated ‘Ole Bull’ and ‘Leduc’ of 1744. Lately Peter Biddulph has identified another contender for what may have been ‘del Gesù’s last work, a fascinating contrast to the ‘Von Vecsey’ of 1728 (ID 71858). This violin is a powerful statement of ‘del Gesù’s intent. Made of the poorest beechwood, a poignant lapse from his former fine materials, it is nevertheless a defiantly bold instrument, as vigorous and challenging as any product of his short life. By 1744 Cremona had lost any sort of monopoly in fine violin making. Jacob Stainer had shown that mastery of the craft was not limited to Lombardy, and there were high-quality, self-sustaining schools of lutherie in several major Italian cities – Venice, Rome, Naples and Milan – as well as other European capitals. It must have become harder to sustain a living as a violin maker, even in Cremona. The radical nature of ‘del Gesù’s work is maybe a little lost on us now. 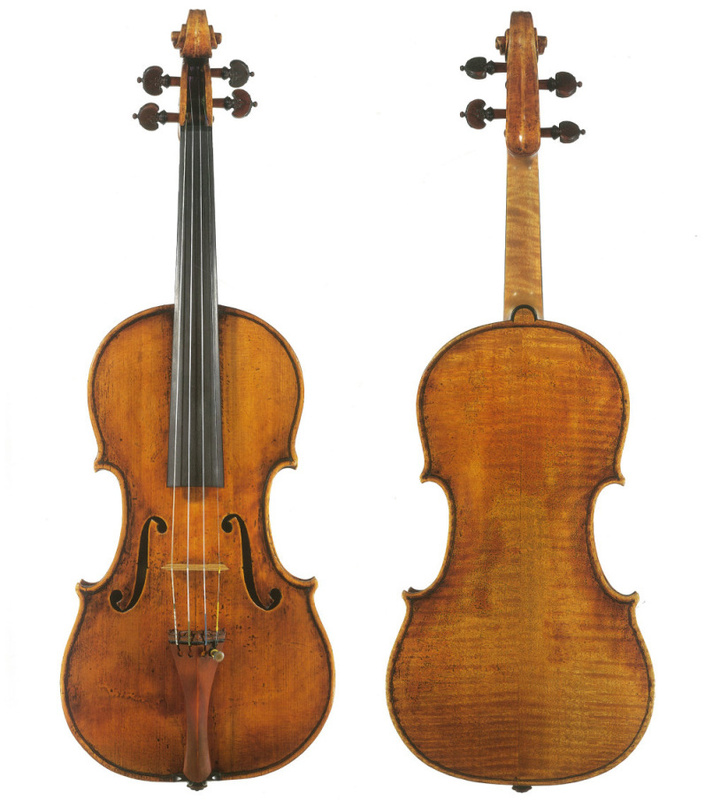 There was no precedent for it in the Cremonese tradition whatsoever; certainly some makers were less accurate in their work than others, the Guarneri family being particular examples, but no one had ventured this far in experimenting with the limits of violin design and tonal function. Whether ‘del Gesù’s motives were desperation, economic pressure or sheer creative energy may not be known, but his achievement is understood and valued today. After ‘del Gesù’s death only one last Cremonese maker, Michael Angelo Bergonzi, followed his lead. His labeled instruments appear immediately after 1744, in startling contrast to the refined, Stradivari-like work of his father Carlo. They have very definite links with ‘del Gesù’ in their free-ranging and improvisatory manner, and in particular the rough-hewn soundholes. It may be that Bergonzi saw the qualities we prize in ‘del Gesù’s work today and deliberately attempted to emulate them. But his own working life was short and he died in 1756, by which time Cremona’s great violin making tradition had been all but extinguished. 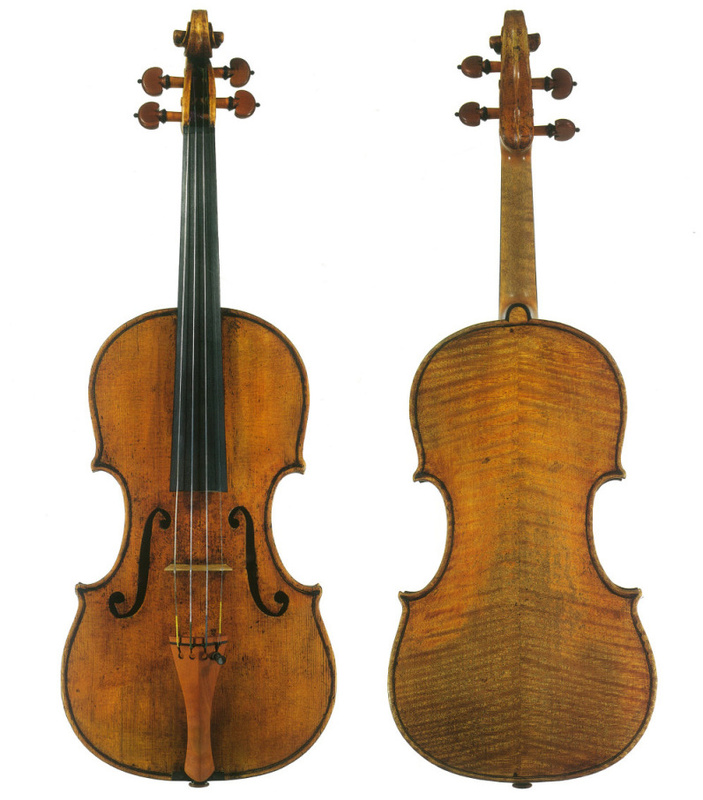 Lorenzo Storioni, born in the year of ‘del Gesù’s death, 1744, began to fan the embers back to life at the end of the 1760s, and it is remarkable that his early work is clearly modelled on Guarneri rather than Stradivari. But it took another 70 years for Paganini and his majestic ‘Cannone’ to share the secret of Cremona’s last genius with the rest of the world. Coming soon: in the final part of their ‘del Gesù’ survey, John Dilworth and Carlo Chiesa shed light on some of the myths about his life.